It’s about that time again – the new school year will be here before you know it. And a new school year means earlier bedtimes. 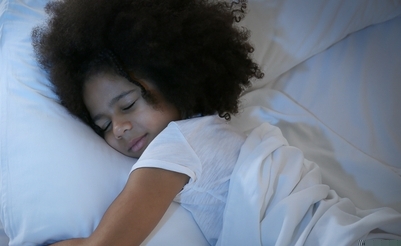 It’s never easy to get out of the summer groove and into new sleep schedules, but hopefully these three simple tips can help you your kiddos smoothly transition to their new bedtime routines. If your little ones are still too awake at night, try a bedtime snack of yogurt, cheese or whole-grain toast with peanut butter. Protein-rich foods form amino acids that have a similar effect on the body as tryptophan, a.k.a. the reason you fall asleep after Thanksgiving dinner every year. Comfort items like stuffed animals, blankets and “lovies” can definitely help your kiddo get to sleep, but too many items in the bed can be distracting. Limit your child to just two of their favorite items at night to help them feel comfortable while minimizing stimulation. The whole family should participate in the new bedtime routine. If the kids are getting ready for bed earlier, parents should mimic that, too (even if you secretly stay up binge-watching your favorite TV show – don’t worry, we won’t tell). This will help kids understand that this new bedtime routine is important for everyone.